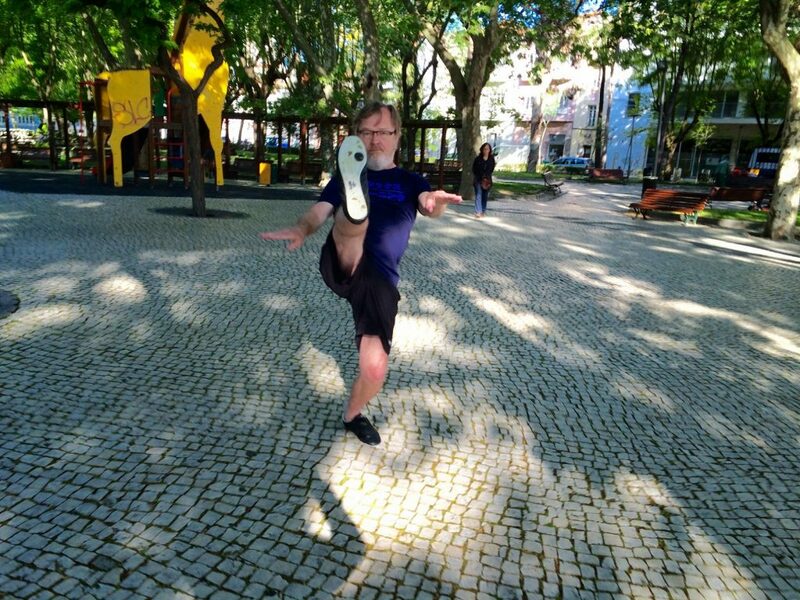 My time in Lisbon, Portugal was pure poetry. 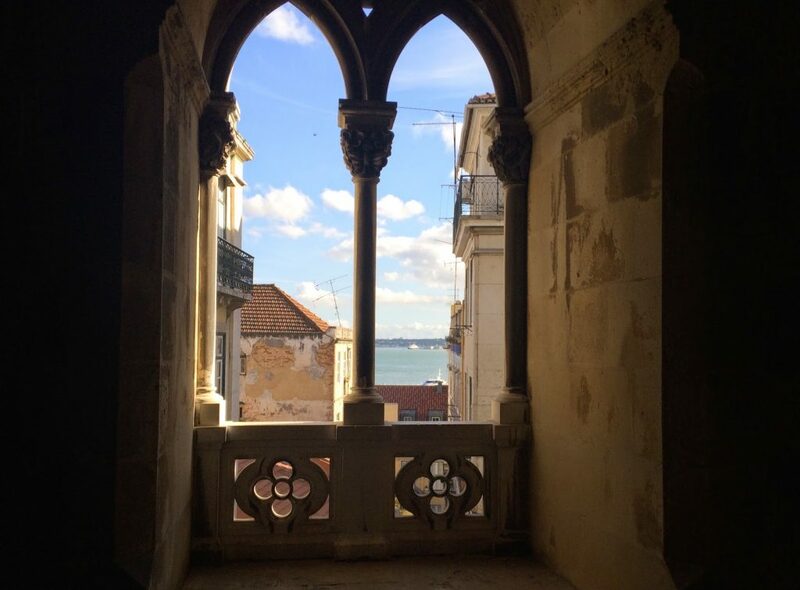 I spent a week in the Portuguese capital, Lisbon, recently. It was my first time in this interesting country, the only Western European state that I hadn’t visited before. 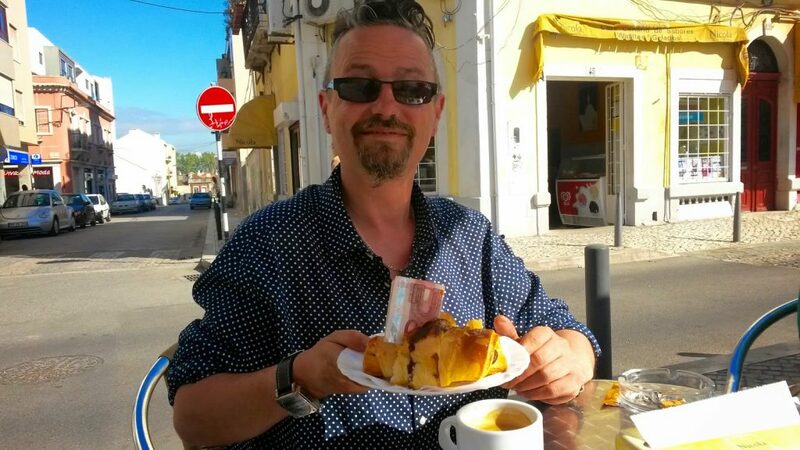 I wasn’t really there on holiday, enjoyable though it was, I was doing a week-long poetry workshop with the British poet, Ruth O’ Callaghan in the small post-industrial town of Barreiro, on the other side of the vast River Tagus. 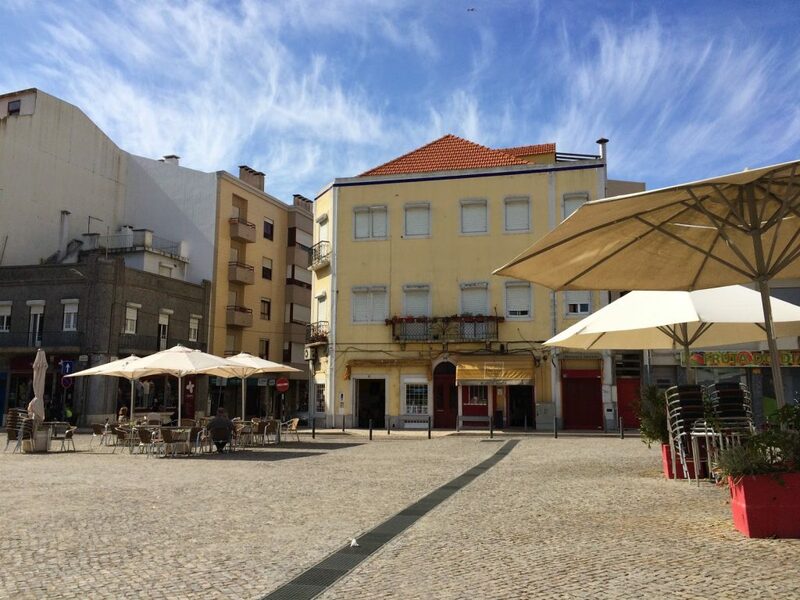 Barreiro may not have Lisbon’s architectural splendours but it was pure Portugal – far from the tourist crowds – and a good place to immerse oneself in poetry. 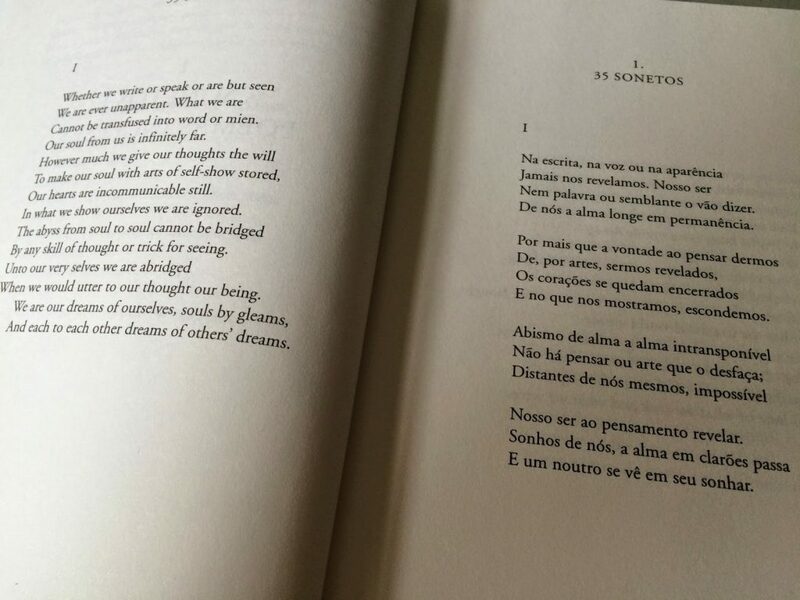 We were a group of four working with Ruth O’ Callaghan and it was truly absorbing – especially when we studied and responded to the work of the great 20th Century Portuguese poet Fernando Pessoa. 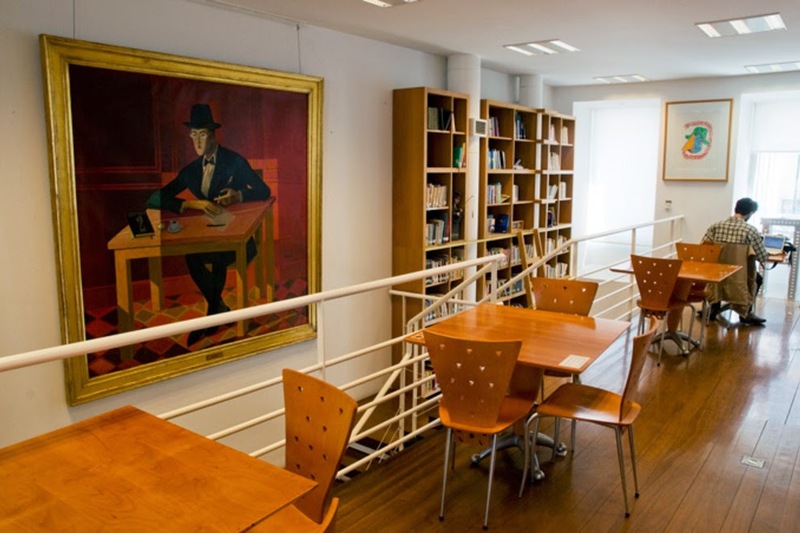 We spent half a day at the Fernando Pessoa House, in the centre of Lisbon where we could access books and visual material on the poet. This was after we given given an introduction to Pessoa by Pessoa expert, the exuberant and erudite Ricardo de Morais. 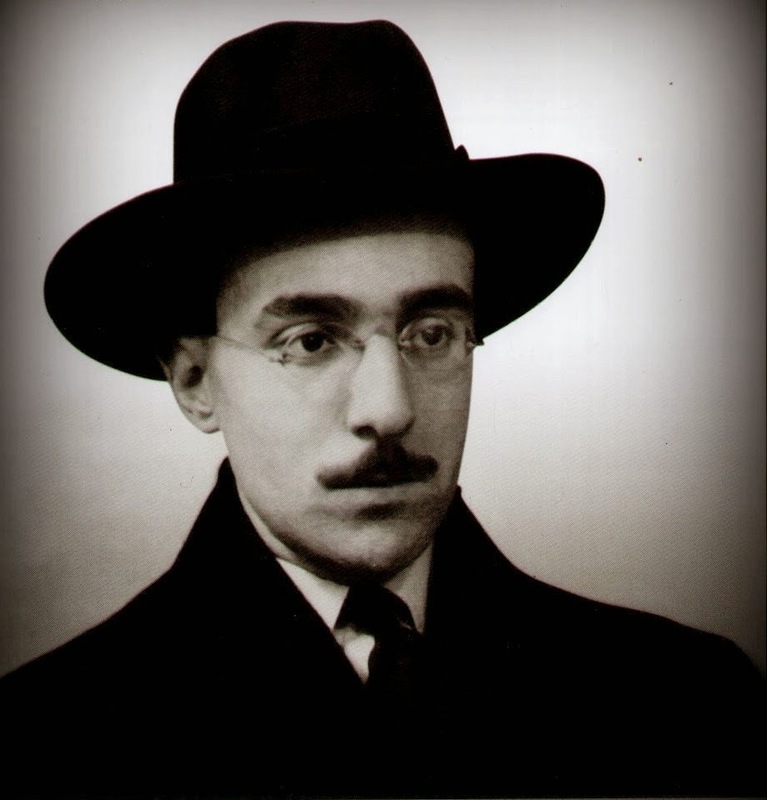 Back at our base in Barreiro, we proceeded to write a series of Pessoa related poems of our own having to produced first drafts within a strictly observed time limit – 40 minutes was a long time for some projects but sometimes the clock was set for 20 minutes. It was always surprizing how much we could get done within these constraints. I think everyone there went away with a bundle of poems which we can carry on polishing back in the UK. There was time to socialise too when the writing was over for the day. 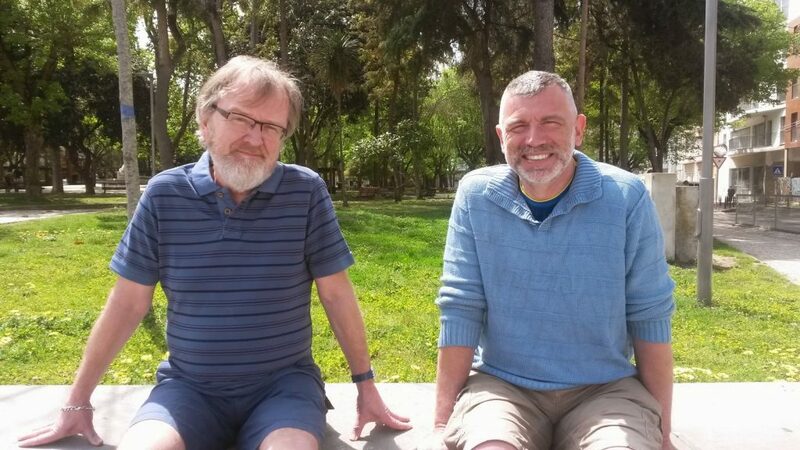 There were opportunities to go off on our own into Lisbon or just to hang around outside our apartment in Barreiro’s pleasant town square. Fellow poet, Chris and I failed to look very Portuguese, I suspect, but our new friend, Ben could almost have been taken for a Barriero native. Especially after that 10 Euro note ‘miraculously’ appeared inside his fruity croissant’s paper bag. 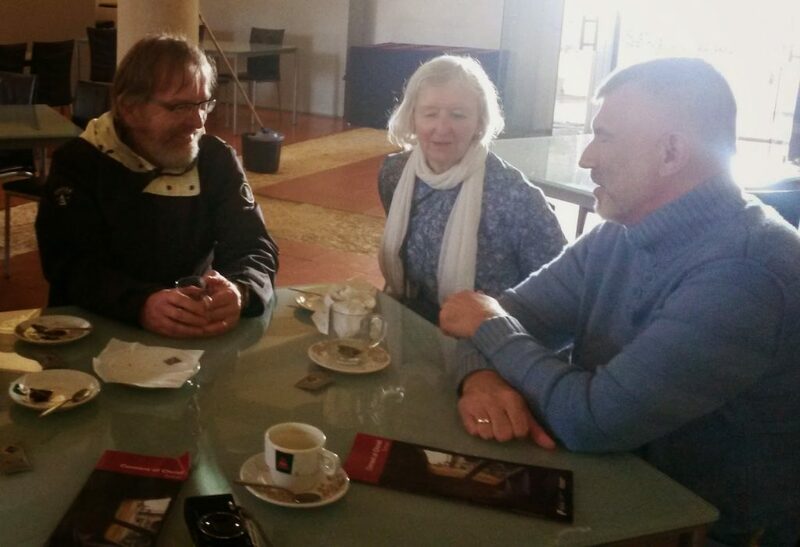 We had time to talk about the poetry too and to discuss how it was going – here Chris and I are discussing something deeply poetic (perhaps) over coffee and tea with Annie, the fourth poet in our group, accompanied by one of Portugal’s wonderful custard tarts. 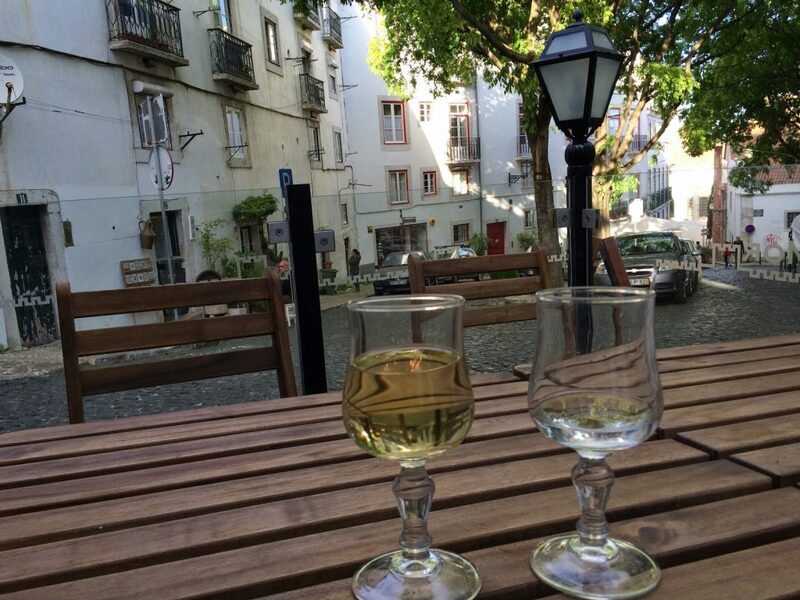 Over the River Tagus in Lisbon itself, there was time enough for relaxation and to enjoy some excellent Portuguese wine. 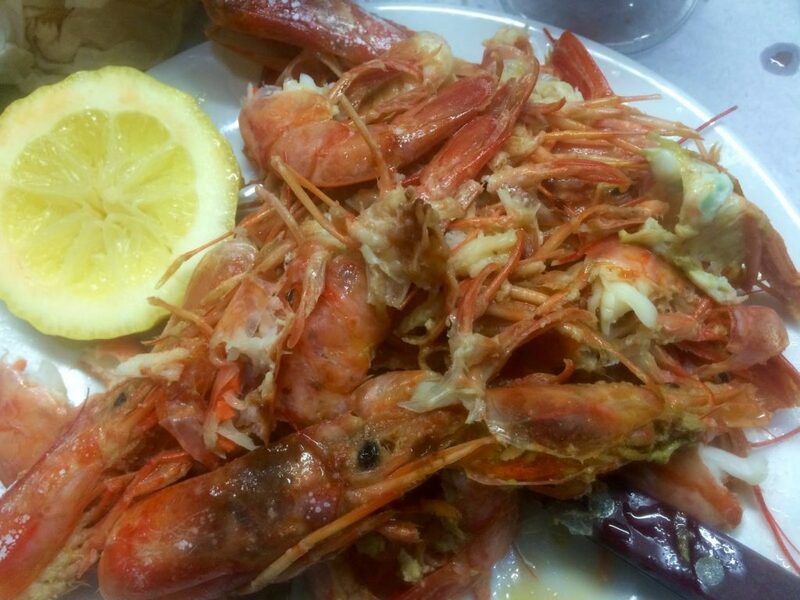 I also had the very best King prawns that I have ever tasted – it was served in a typically unpretentious restaurant that felt no need to glamourise what was already world-class cuisine. I used my weekend off wisely, I think, taking in some of Lisbon’s cultural history. 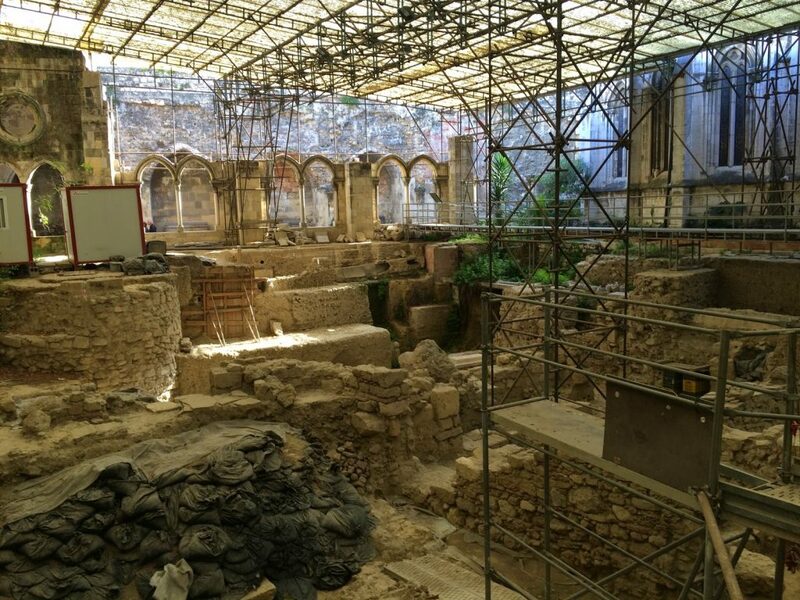 This archaeological site was a rediscovered street with Roman and Medieval Islamic urban remains. 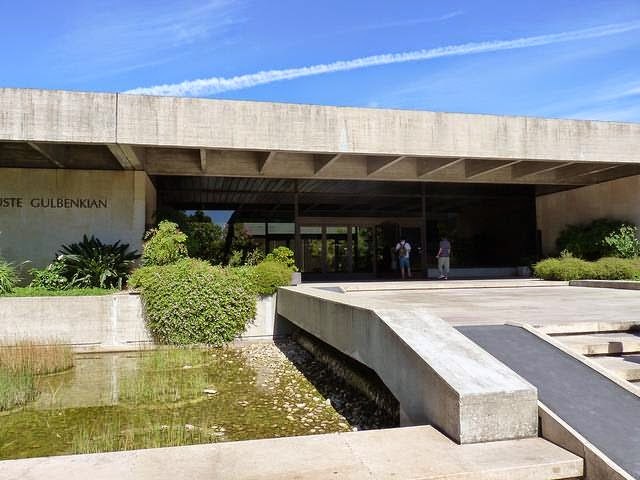 I spent Sunday at the Calouste Gulbenkian Museum (see my previous blog) enjoying the magnificent collection assembled by the Anglo-American oil magnate, Calouste Gulbenkian (1869 – 1955) who settled in Portugal and bequeathed his art collection to the Portuguese state where it is now housed in a splendid modernist museum. I also spent time in Lisbon’s impressive Gothic Cathedral, mostly free from all those sinister images of bleeding crucifixions and saintly martyrdoms that tend to dominate dark Iberian peninsular churches. 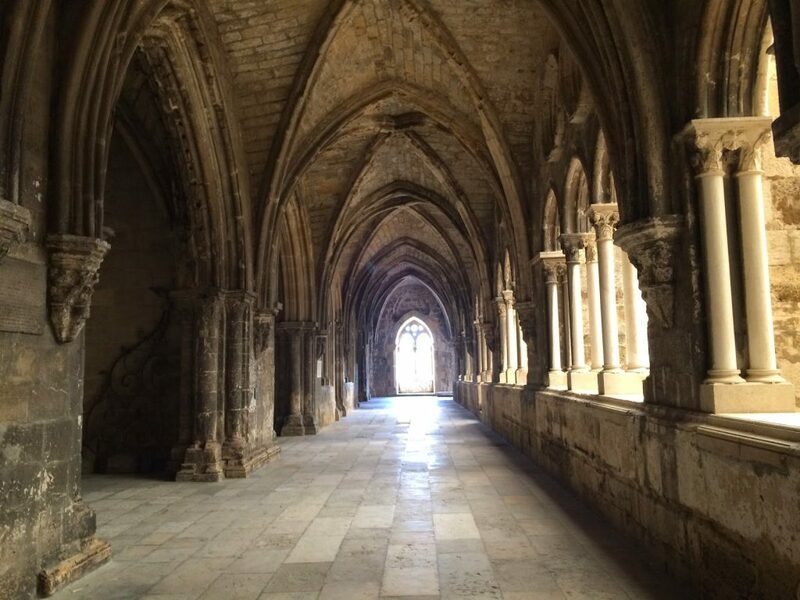 I particularly loved the atmospheric cloisters – fortunately undamaged by Lisbon’s catastrophic 18th Century earthquake and subsequent tsunami. Medieval Lisbon monks don’t seem to have locked themselves away from the world as the cloisters here have elegant windows looking over the city and beyond. I like the idea of a church with a view. 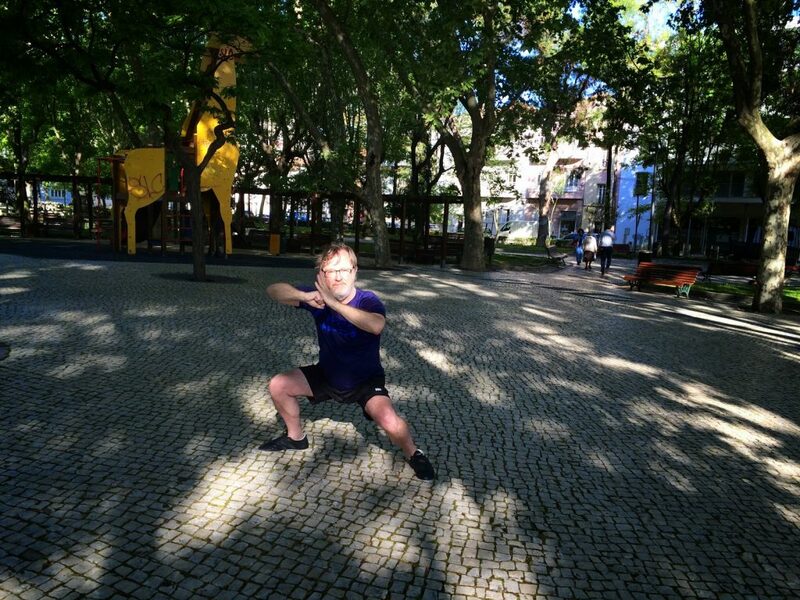 My mornings, in Portugal on this trip always began with an opportunity to go into the little park in front of our living quarters for an hour of martial arts practice. 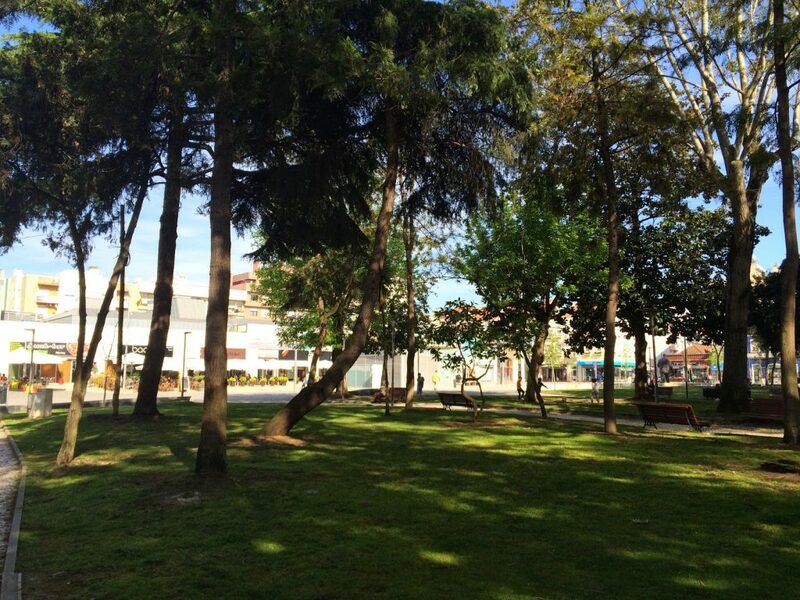 Here under the trees, I could watch the rising sun and put my mind in order for the day ahead. The citizens of Barriero, on their way to work, remained unphased by my activities and I stopped being embarrassed by such things a long time ago. My White Crane Kungfu style puts great emphasis on earthing your body and, wherever on my travels I do these patterns, no matter how imperfectly, I feel that the small plot of ground beneath my feet becomes a part of myself and I like to think I take a bit of all these places away with me. It is of course a form of meditation. There was also time for another kind of poetry while I was in Lisbon and some of us were able to sneak away to a restaurant in the enjoyably bohemian Alfama district, the traditional birthplace of the famous Portuguese music called Fado. Here’s a taste – I was enthralled by the virtuosity and artistry of the musicians performing this seductive mixture of art song, folk music and, as some people claim, the blues. 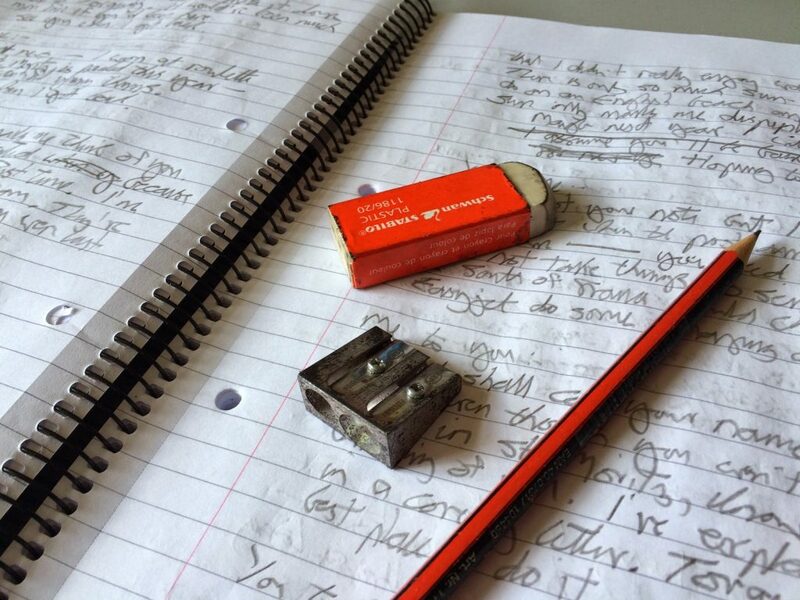 Numbers count in Fibonacci Poetry – and for The Fib Review’s anniversary issue.